The shipping container house that we have been working on for quite a while has finally started to take shape. 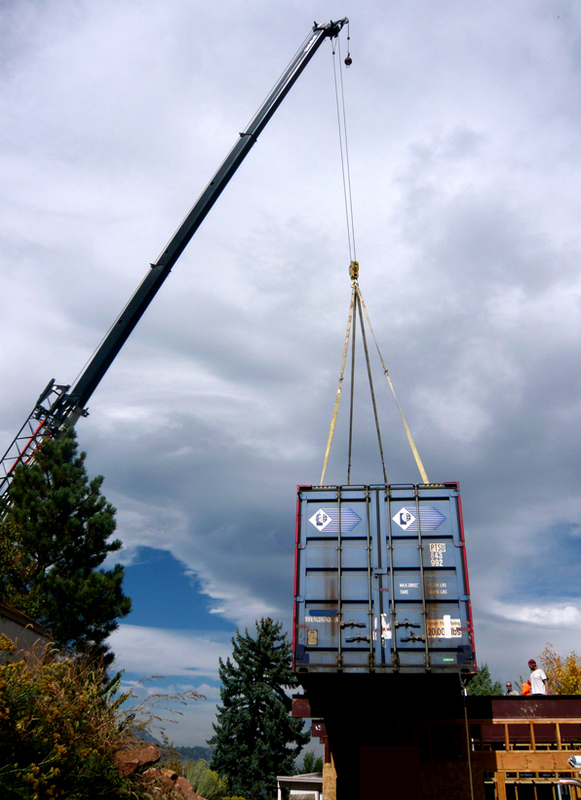 The first box was delivered on Wednesday, lifted high above the neighborhood and swung into place on the second story. Another container will be set in a few months immediate to the north of this one, making a long line with a small terrace between. A very challenging building site, hemmed in with zoning requirements to a maximum building envelope of 20' wide by 145' long, suggested the use of these long, narrow boxes. The homeowner's desire for a eco-conscious house, including these re-purposed containers, drove the much of the design as well. The restrictive solar shadow ordinance here in Boulder allowed us to build up to only 10' wide on the second level. The final outcome will be sustainable design that incorporates the owner's solar panel array and stretches north to south over 140'. The lifting and setting of the first box was quite an event, bringing out curious, and somewhat concerned neighbors. The amazing views from this new second level will reveal Boulder's famous flatirons to the south and the city dropping off to the northeast. 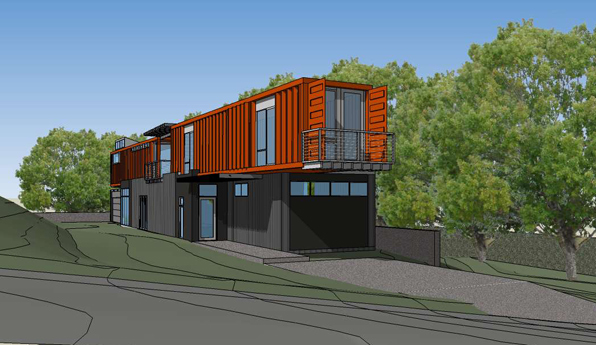 The neighborhood of two- and three-story homes will be joined by this construction, long and narrow, of shipping containers anchored in their new port.